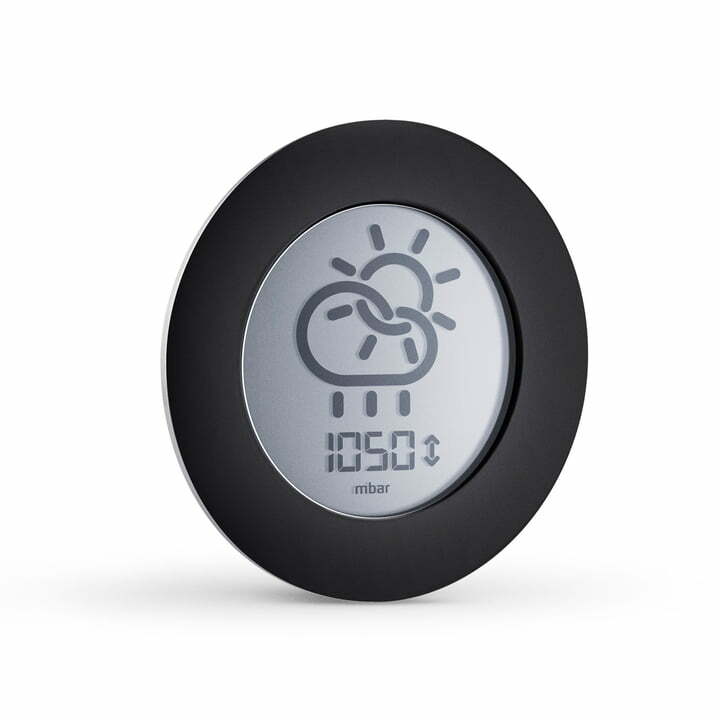 The digital barometer by Eva Solo shows the pressure of the atmosphere in a graphic way and helps predict how the weather will develop in the next 12-24 hours. User-friendly symbols including a sun, clouds, and rain make reading the barometer an easy and fun activity. 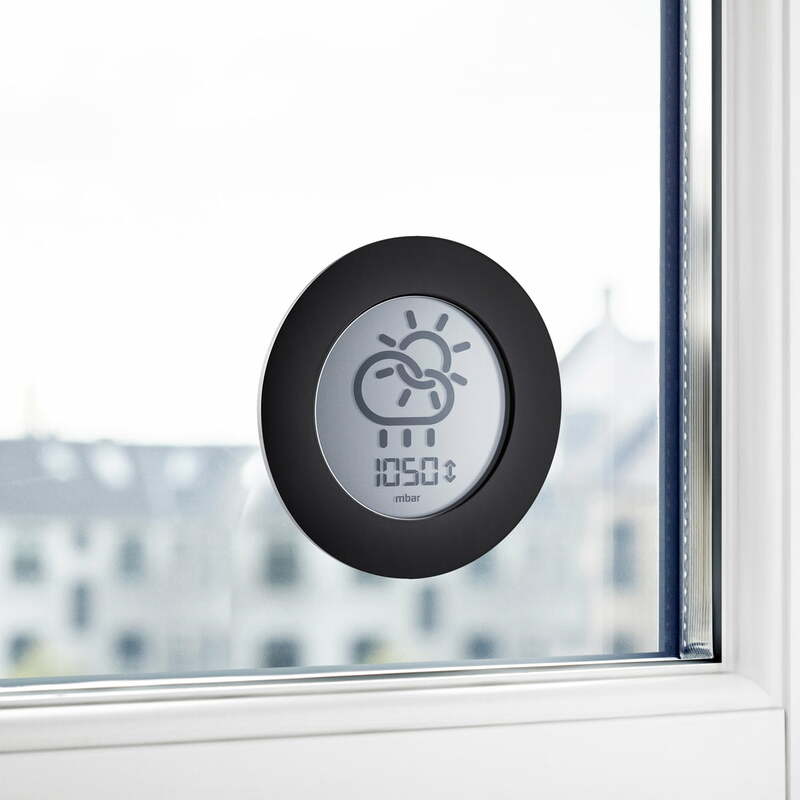 The barometer is stuck on the outside of the window thanks to double-sided 3M tape. 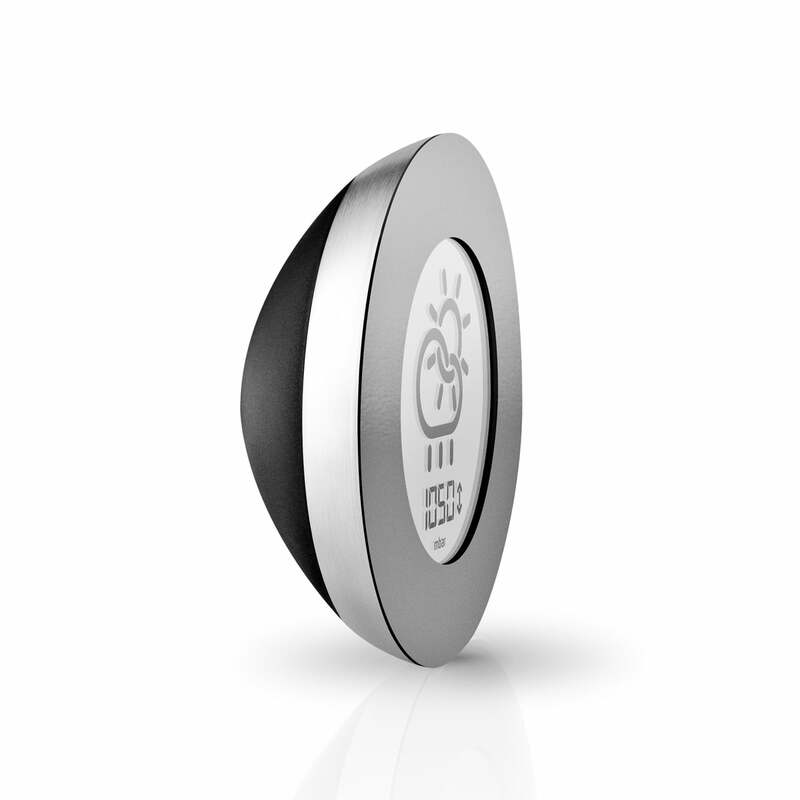 The stainless steel housing makes it resistant to all types of weather conditions. A quick glance at the barometer is enough to determine whether an umbrella is necessary or if is best to stay at home.